The OWL languages are characterized by formal semantics. They are built upon a W3C XML standard for objects called the Resource Description Framework (RDF). OWL and RDF have attracted significant academic, medical and commercial interest. — Guus Schreiber, Why OWL and not WOL? The natural initialism for Web Ontology Language would be WOL instead of OWL. Although the character Owl from Winnie-the-Pooh wrote his name WOL, the acronym OWL was proposed without reference to that character, as an easily pronounced acronym that would yield good logos, suggest wisdom, and honor William A. Martin's One World Language knowledge representation project from the 1970s. An ontology describing families might include axioms stating that a "hasMother" property is only present between two individuals when "hasParent" is also present, and individuals of class "HasTypeOBlood" are never related via "hasParent" to members of the "HasTypeABBlood" class. If it is stated that the individual Harriet is related via "hasMother" to the individual Sue, and that Harriet is a member of the "HasTypeOBlood" class, then it can be inferred that Sue is not a member of "HasTypeABBlood". OWL Lite was originally intended to support those users primarily needing a classification hierarchy and simple constraints. For example, while it supports cardinality constraints, it only permits cardinality values of 0 or 1. It was hoped that it would be simpler to provide tool support for OWL Lite than its more expressive relatives, allowing quick migration path for systems using thesauri and other taxonomies. In practice, however, most of the expressiveness constraints placed on OWL Lite amount to little more than syntactic inconveniences: most of the constructs available in OWL DL can be built using complex combinations of OWL Lite features, and is equally expressive as the description logic . Development of OWL Lite tools has thus proven almost as difficult as development of tools for OWL DL, and OWL Lite is not widely used. The OWL abstract syntax presents an ontology as a sequence of annotations, axioms and facts. Annotations carry machine and human oriented meta-data. Information about the classes, properties and individuals that compose the ontology is contained in axioms and facts only. Each class, property and individual is either anonymous or identified by an URI reference. Facts state data either about an individual or about a pair of individual identifiers (that the objects identified are distinct or the same). Axioms specify the characteristics of classes and properties. This style is similar to frame languages, and quite dissimilar to well known syntaxes for description logics (DLs) and Resource Description Framework (RDF). Consider an ontology for tea based on a Tea class. But first, an ontology is needed. Every OWL ontology must be identified by an URI (http://www.example.org/tea.owl, say). This is enough to get a flavour of the syntax. To save space below, preambles and prefix definitions have been skipped. Description logics (DLs) are a family of logics that are decidable fragments of first-order logic with attractive and well-understood computational properties. OWL DL and OWL Lite semantics are based on DLs. They combine a syntax for describing and exchanging ontologies, and formal semantics that gives them meaning. For example, OWL DL corresponds to the description logic, while OWL 2 corresponds to the logic. Sound, complete, terminating reasoners (i.e. systems which are guaranteed to derive every consequence of the knowledge in an ontology) exist for these DLs. A class is a collection of objects. It corresponds to a description logic (DL) concept. A class may contain individuals, instances of the class. A class may have any number of instances. An instance may belong to none, one or more classes. A class may be a subclass of another, inheriting characteristics from its parent superclass. This corresponds to logical subsumption and DL concept inclusion notated . All classes are subclasses of owl:Thing (DL top notated ), the root class. All classes are subclassed by owl:Nothing (DL bottom notated ), the empty class. No instances are members of owl:Nothing. Modelers use owl:Thing and owl:Nothing to assert facts about all or no instances. The first means "Barack Obama is a human" and the second "every woman is human". A property is a characteristic of a class - a directed binary relation that specifies some attribute which is true for instances of that class. Properties correspond to a description logic role. Properties sometimes act as data values, or links to other instances. Properties may exhibit logical features, for example, by being transitive, symmetric, inverse and functional. Properties may also have domains and ranges. "SchemaWeb - RDF Schemas Directory". September 2005. Archived from the original on 10 August 2011. ↑ "OWL 2 Web Ontology Language Document Overview". W3C. 2009-10-27. ↑ "XML and Semantic Web W3C Standards Timeline" (PDF). ↑ "Submission Request to W3C: OWL 1.1 Web Ontology Language". W3C. 2006-12-19. 1 2 "W3C Standard Facilitates Data Management and Integration". W3.org. 2009-10-27. Retrieved 15 October 2013. ↑ Sirin, E.; Parsia, B.; Grau, B. C.; Kalyanpur, A.; Katz, Y. (2007). "Pellet: A practical OWL-DL reasoner" (PDF). Web Semantics: Science, Services and Agents on the World Wide Web. 5 (2): 51–53. doi:10.1016/j.websem.2007.03.004. ↑ Tsarkov, D.; Horrocks, I. (2006). "FaCT++ Description Logic Reasoner: System Description". Automated Reasoning (PDF). Lecture Notes in Computer Science. 4130. pp. 292–297. doi:10.1007/11814771_26. ISBN 978-3-540-37187-8. ↑ John Hebeler (April 13, 2009). Semantic Web Programming. ISBN 978-0470418017. ↑ Segaran, Toby; Evans, Colin; Taylor, Jamie (July 24, 2009). Programming the Semantic Web. O'Reilly Media. ISBN 978-0596153816. 1 2 3 Lacy, Lee W. (2005). "Chapter 10". OWL: Representing Information Using the Web Ontology Language. Victoria, BC: Trafford Publishing. ISBN 1-4120-3448-5. ↑ Baader, Franz; Horrocks, Ian; Sattler, Ulrike (2005). "Description Logics as Ontology Languages for the Semantic Web". In Hutter, Dieter; Stephan, Werner. Mechanizing Mathematical Reasoning: Essays in Honor of Jörg H. Siekmann on the Occasion of His 60th Birthday. Heidelberg, DE: Springer Berlin. ISBN 978-3-540-25051-7. 1 2 Horrocks, Ian; Patel-Schneider, Peter F.; van Harmelen, Frank. "From SHIQ and RDF to OWL: the making of a Web Ontology Language". Web Semantics: Science, Services and Agents on the World Wide Web. 1 (1): 7–26. doi:10.1016/j.websem.2003.07.001. ↑ World Wide Web Consortium (2010-02-06). "W3C Semantic Web Activity". Retrieved 18 April 2010. 1 2 3 World Wide Web Consortium (2002-08-23). "Metadata Activity Statement". World Wide Web Consortium. Retrieved 20 April 2010. ↑ World Wide Web Consortium (2002-08-23). "RDF Vocabulary Description Language 1.0: RDF Schema". RDF Vocabulary Description Language 1.0. World Wide Web Consortium. Retrieved 20 April 2010. ↑ Lacy, Lee W. (2005). "Chapter 9 - RDFS". OWL: Representing Information Using the Web Ontology Language. Victoria, BC: Trafford Publishing. ISBN 1-4120-3448-5. 1 2 3 4 "Web-Ontology (WebOnt) Working Group (Closed)". W3C. ↑ Patel-Schneider, Peter F.; Horrocks, Ian (2006-12-19). "OWL 1.1 Web Ontology Language". World Wide Web Consortium. Retrieved 26 April 2010. 1 2 3 Grau, B. C.; Horrocks, I.; Motik, B.; Parsia, B.; Patel-Schneider, P. F.; Sattler, U. (2008). "OWL 2: The next step for OWL" (PDF). Web Semantics: Science, Services and Agents on the World Wide Web. 6 (4): 309–322. doi:10.1016/j.websem.2008.05.001. ↑ Herman, Ivan. "Why OWL and not WOL?". Tutorial on Semantic Web Technologies. World Wide Web Consortium. Retrieved 18 April 2010. ↑ "Re: NAME: SWOL versus WOL". message sent to W3C webont-wg mailing list on 27 December 2001. ↑ Ian Horrocks (2012). "Ontologe Reasoning: The Why and The How" (PDF). p. 7. Retrieved January 28, 2014. ↑ Wang, T. D.; Parsia, B.; Hendler, J. (2006). "A Survey of the Web Ontology Landscape". The Semantic Web - ISWC 2006. Lecture Notes in Computer Science. 4273. p. 682. doi:10.1007/11926078_49. ISBN 978-3-540-49029-6. ↑ W3C (ed.). "OWL Web Ontology Language Guide". 1 2 3 4 Patel-Schneider, Peter F.; Horrocks, Ian; Patrick J., Hayes (2004-02-10). "OWL Web Ontology Language Semantics and Abstract Syntax". World Wide Web Consortium. Retrieved 18 April 2010. ↑ Bechhofer, Sean; Patel-Schneider, Peter F.; Turi, Daniele (2003-12-10). "OWL Web Ontology Language Concrete Abstract Syntax". University of Manchester. Retrieved 18 April 2010. ↑ Motik, Boris; Patel-Schneider, Peter F.; Parsia, Bijan (2009-10-27). "OWL 2 Web Ontology Language Structural Specification and Functional-Style Syntax". OWL 2 Web Ontology Language. World Wide Web Consortium. Retrieved 18 April 2010. ↑ A. Swartz (September 2004). "application/rdf+xml Media Type Registration (RFC3870)". IETF. p. 2. Archived from the original on 2013-09-17. Retrieved 15 October 2013. 1 2 Patel-Schneider, Peter F.; Motik, Boris (2009-10-27). "OWL 2 Web Ontology Language Mapping to RDF Graphs". OWL 2 Web Ontology Language. World Wide Web Consortium. Retrieved 18 April 2010. ↑ Motik, Boris; Parsia, Bijan; Patel-Schneider, Peter F. (2009-10-27). 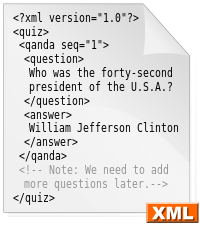 "OWL 2 Web Ontology Language XML Serialization". OWL 2 Web Ontology Language. World Wide Web Consortium. Retrieved 18 April 2010. ↑ Horridge, Matthew; Patel-Schneider, Peter F. (2009-10-27). "OWL 2 Web Ontology Language Manchester Syntax". W3C OWL 2 Web Ontology Language. World Wide Web Consortium. Retrieved 18 April 2010. ↑ Hitzler, Pascal; Krötzsch, Markus; Parsia, Bijan; Patel-Schneider, Peter F.; Rudolph, Sebastian (2009-10-27). "OWL 2 Web Ontology Language Primer". OWL 2 Web Ontology Language. World Wide Wed Consortium. Retrieved 15 October 2013. ↑ Horrocks, Ian; Patel-Schneider, Peter F. "Reducing OWL Entailment to Description Logic Satisfiability" (PDF). ↑ Hitzler, Pascal; Krötzsch, Markus; Rudolph, Sebastian (2009-08-25). Foundations of Semantic Web Technologies. CRCPress. ISBN 1-4200-9050-X. ↑ McGuinness, Deborah; van Harmelen, Frank (2004-02-10). "OWL Web Ontology Language Overview". W3C Recommendation for OWL, the Web Ontology Language. World Wide Web Consortium. Retrieved 18 April 2010. ↑ Hayes, Patrick (2004-02-10). "RDF Semantics". Resource Description Framework. World Wide Web Consortium. Retrieved 18 April 2010. ↑ Patel-Schneider, Peter F.; Hayes, Patrick; Horrocks, Ian (2004-02-10). "OWL Web Ontology Language Semantics and Abstract Syntax Section 5. RDF-Compatible Model-Theoretic Semantics". W3C Recommendation for OWL, the Web Ontology Language. World Wide Web Consortium. Retrieved 18 April 2010. ↑ Mazzocchi, Stefano (2005-06-16). "Closed World vs. Open World: the First Semantic Web Battle". Retrieved 27 April 2010. ↑ Lacy, Lee W. (2005). "Chapter 12". OWL: Representing Information Using the Web Ontology Language. Victoria, BC: Trafford Publishing. ISBN 1-4120-3448-5. ↑ Noy, Natasha; Rector, Alan (2006-04-12). "Defining N-ary Relations on the Semantic Web". World Wide Web Consortium. Retrieved 17 April 2010.